Much to the delight of David Schnabel, committed ENERGETIX distributor Karin Christ “sponsored” the artistic cycling athlete with two sportEX bracelets and a sportEX sports shirt (many thanks for the photo!). With his eight World Championship titles, David Schnabel is the most successful artistic cyclist in the history of indoor cycling and holds the current world record for single artistic cycling. “When I registered for the Mainz Half Marathon, I had never run such a long distance in all my life! So I asked a few experienced friends and they all said, ‘Start off slowly’. And that’s exactly what Hugo and I did: we ran three times a week and increased our running very slowly. At first it was more walking than running. But we did a minute more each day and eventually it was more running than walking. After four weeks we had built up to four minutes running and one minute walking – we did this four times in succession, so 20 minutes in all. Then we ran a minute longer every week but kept the minute of walking in between. In the beginning it was hard but now I’m starting to enjoy it. 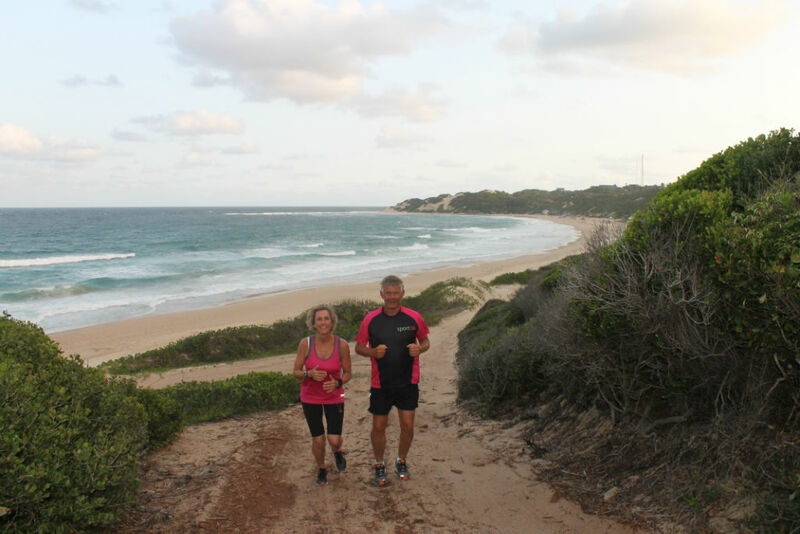 At present we are on holiday in Mozambique and run every day on the beach. Sometimes the sand is very soft, which makes it more difficult for us. It’s even more of a challenge, too, because of the heat and the strong wind.